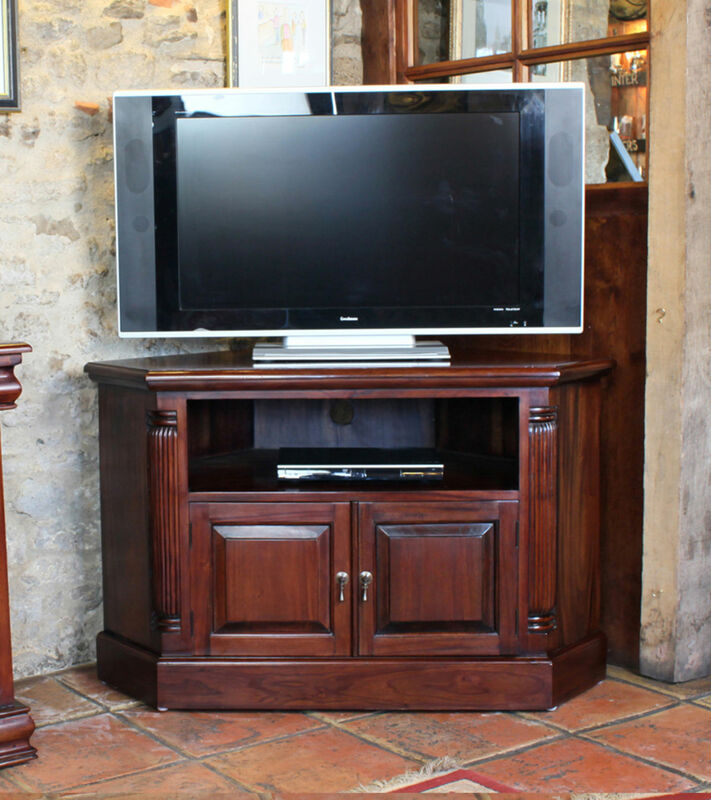 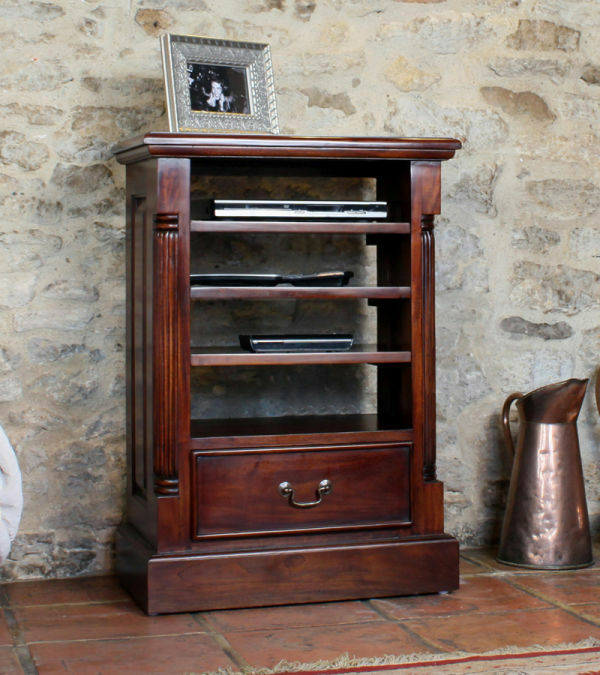 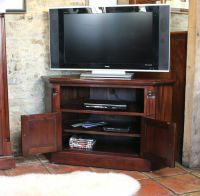 This smart Mahogany Corner TV Cabinet is hand crafted from highest grade solid FSC certified Mahogany - all of our mahogany furniture is sustainable and sourced from managed plantation. 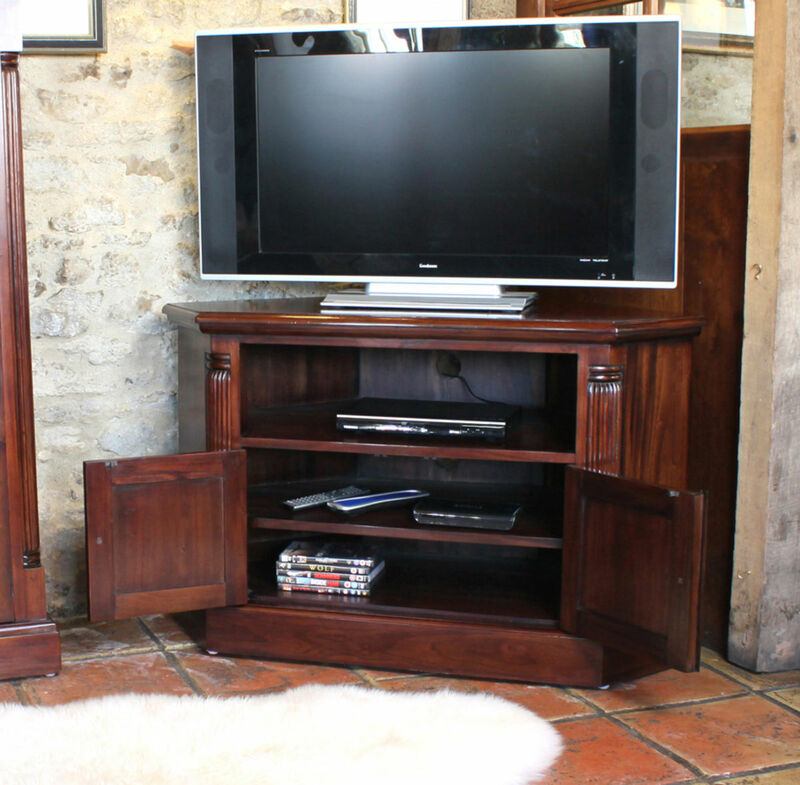 Boasting a classic design with contemporary edges, this compact TV unit sits neatly into the corner of any living room or home. 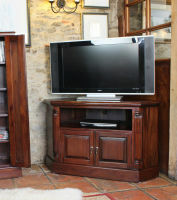 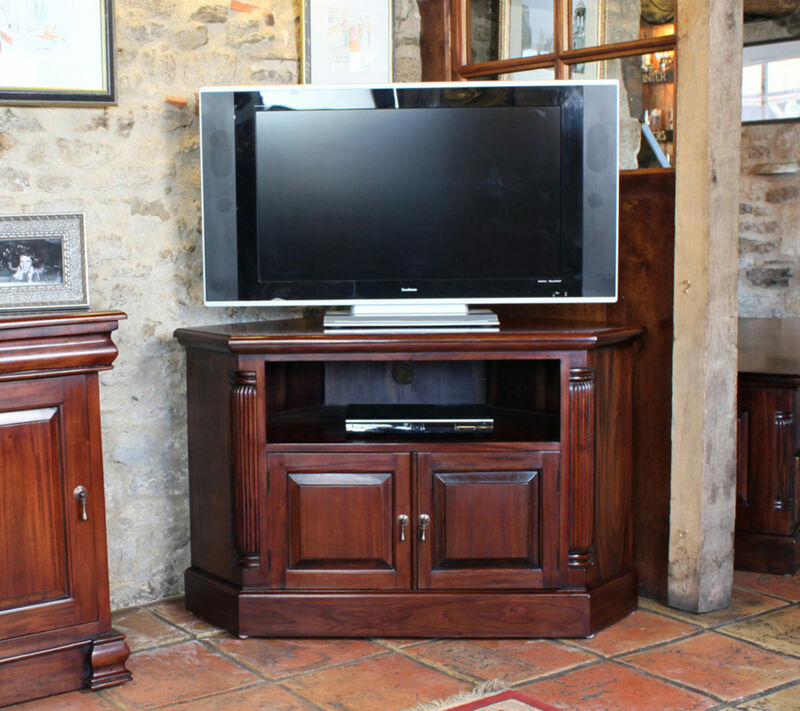 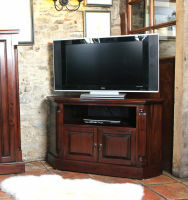 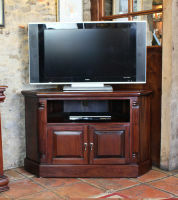 This corner television cabinet is designed specifically to suit larger (LCD/ Plasma or LED) televisions up to 52" wide. 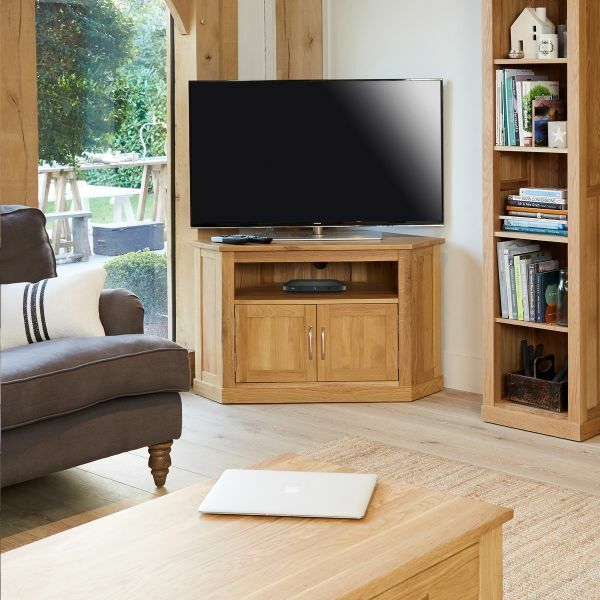 Finished to exceptional standards using a mid gloss lacquer that gives a strong and resiliant surface finish and accentuates the natural beauty of the wood. 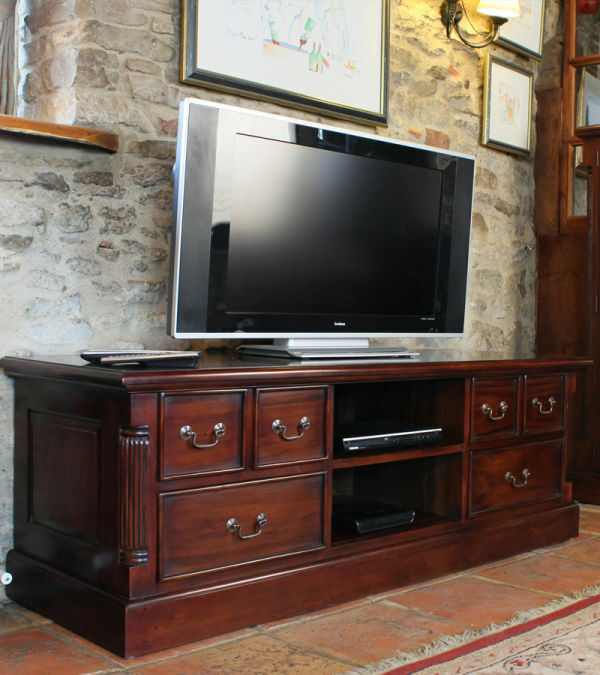 Beautiful antiqued brass drop handles complete the piece. 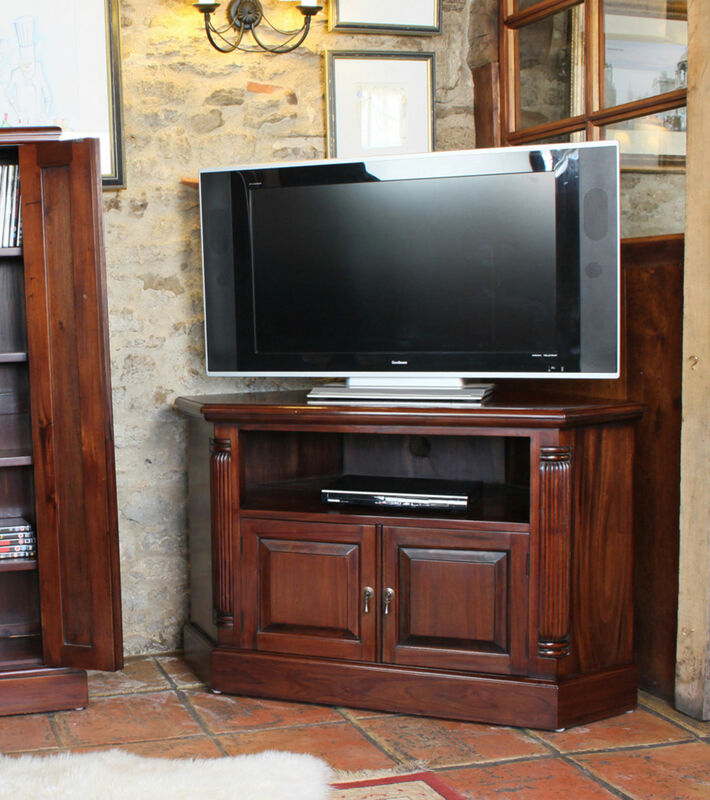 There is plenty of storage with two open shelves for media players or other units and pre-drilled cable holes at the rear to keep everything neat and tidy. 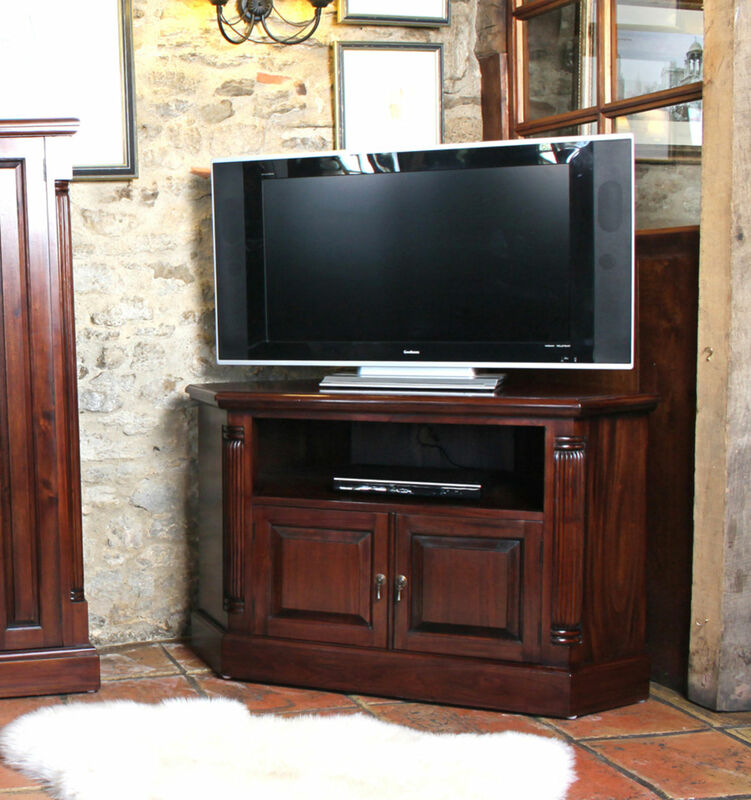 Beautifully crafted, hand carved fluted sides and decorative back panelling provide exquisite detail. 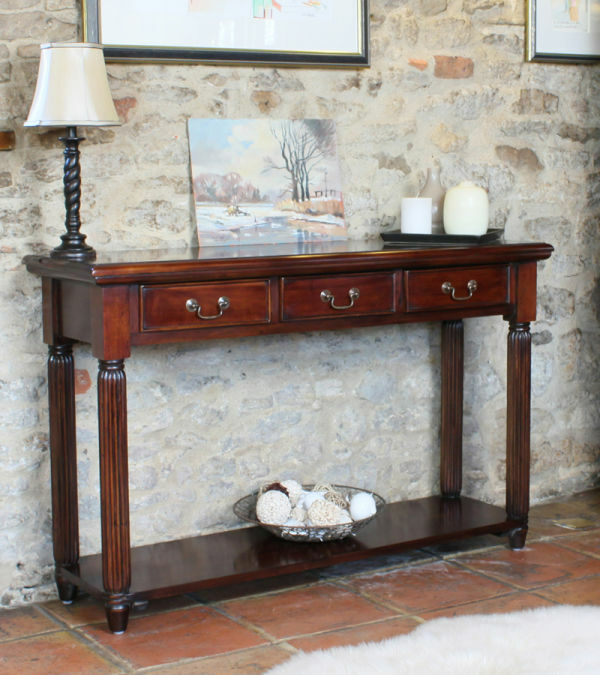 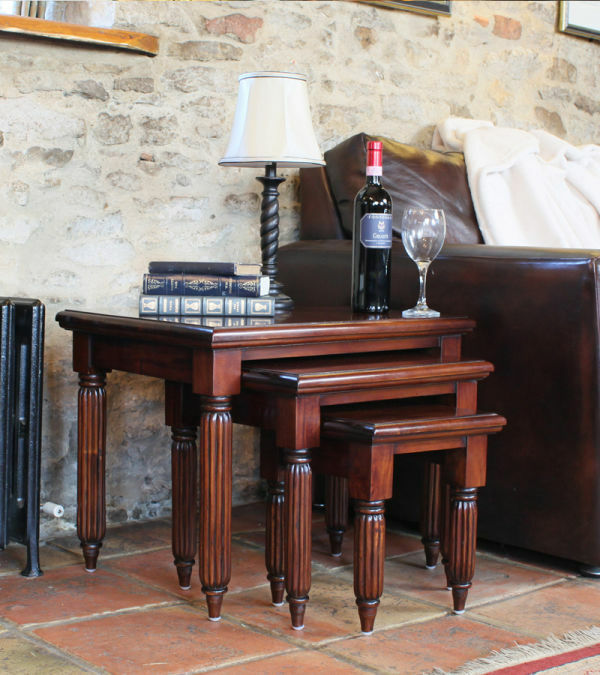 To complete the look, this piece sits perfectly with our mahogany nest of coffee tables .